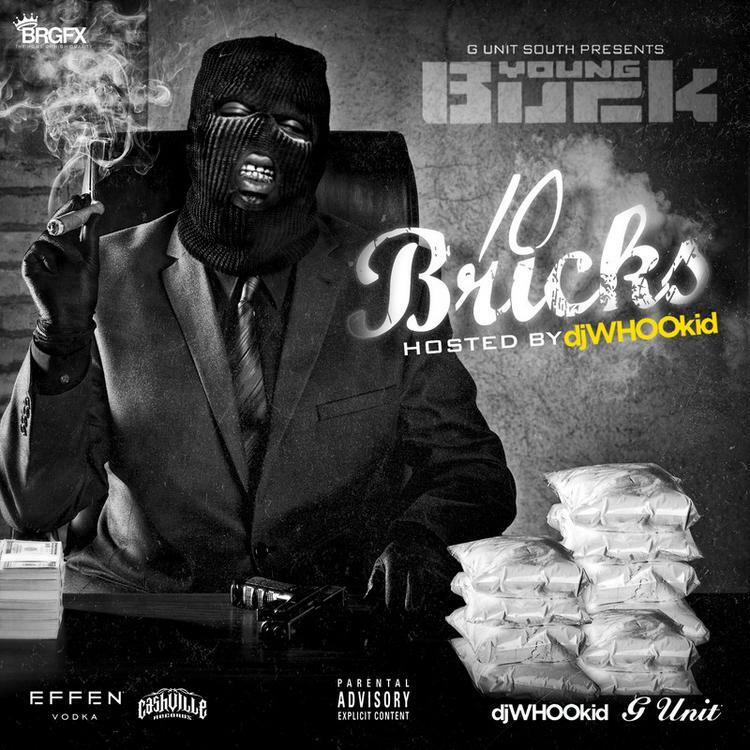 Young Buck's "10 Bricks" drops soon. Young Buck shows no signs of slowing down. After giving fans a stack of free music with his last mixtape 10 Bullets, he'll be making a quick return with the DJ Whoo Kid-hosted 10 Bricks. Once again, he's provided 10 new tracks (as well as an intro and a bonus record), featuring production from Bandplay, Cassius Jay, 30 Rocc, and more. Stay tuned, as the rapper is said to be dropping plenty more mixtapes later this year.